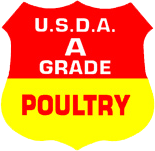 The USDA is the public health agency responsible for ensuring that the nation's commercial supply of poultry is safe, correctly labeled and packaged. Ohio Grown for 25+ years. We are Family-owned-and-operated since 1938, providing the highest standard of excellence and freshness. We pride ourselves on excellent customer service, Expedient turnaround times and a strong Belief in long loyal business relationships. 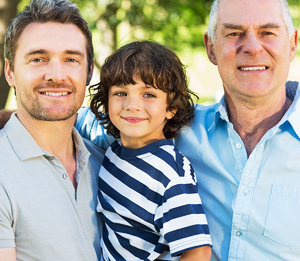 Vitale Poultry Company is a family-owned and operated business that began in 1938. Vitale processes and distributes USDA inspected poultry including: Chicken, Duck, Turkey, Geese and Cornish Hens. Vitale Poultry receives fresh poultry daily from local Ohio farms, and processes and delivers custom cuts to our customer base in Central and Southern Ohio. 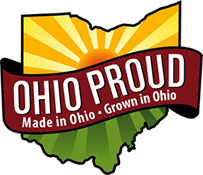 Vitale Poultry is member of Ohio Proud, which promotes products grown by local farmers. Buy Fresh - Buy Local Vitale Poultry Products are Custom-Cut, Sized and CVP Packed to Order. Vitale Poultry offers the finest locally grown USDA inspected Grade “A” fresh white skin chicken in Ohio. Our poultry is all natural, with no added antibiotics, gluten, Additives or hormones. All Vitale Poultry products are custom-cut to order, CVP packed for freshness and safety, and sized to exact customer specifications. Vitale Poultry further processes the best fresh turkey for our Restaurant and Wholesale Distributors. 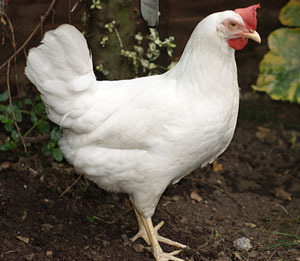 We always deliver the best available poultry from local and regional farmers. Vitale Poultry offers the finest Duck from local and regional farms. We can cut to spec and even offer piece counts for delivery. We are proud of our long relationships with our farmers and growers. Vitale Poultry further processes the best Geese for our Restaurant and Wholesale Distributors. We always deliver the best available poultry from local and regional farmers. Vitale Poultry further processes the best Cornish Hens for our Restaurant and Wholesale Distributors. We always deliver the best available poultry from local and regional farmers. Vitale Poultry delivers farm fresh eggs from local Ohio farms to our customers’ doorsteps within hours of when they are hatched. We take pride in our 25 years of Ohio grower relationships and are members of ‘Ohio Proud’, a consortium of Ohio farms, processors and distributors dedicated to the local economy.